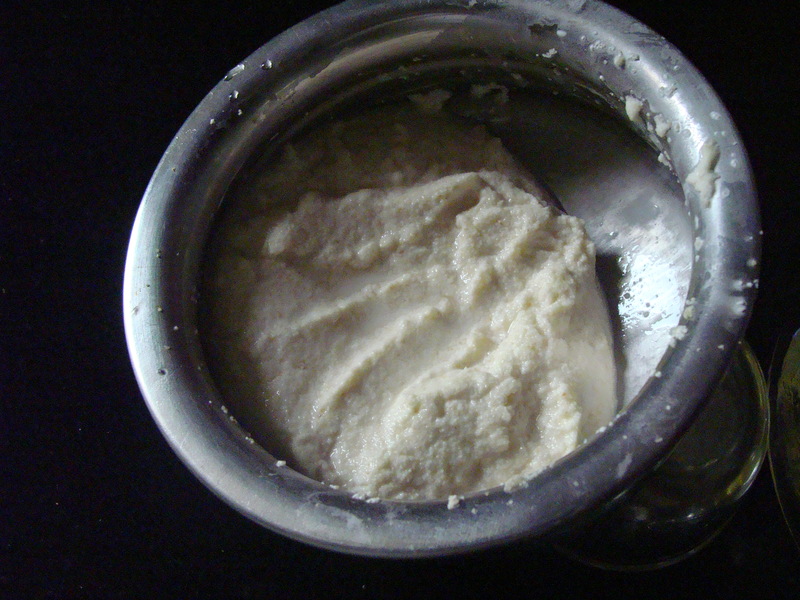 1 & 1/2 cup sugar. 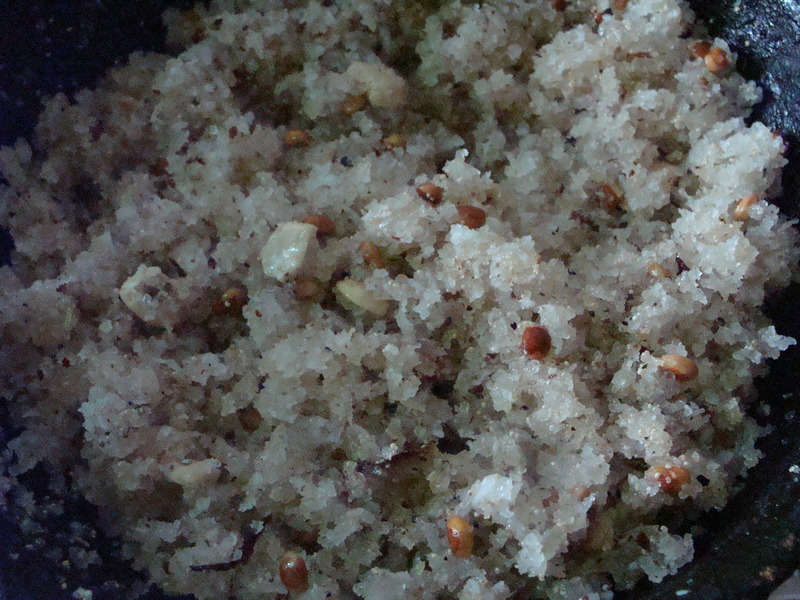 For stuffing in a thick bottom pan ,mix together sugar,grated coconut,poppy seeds,cashew nuts & charoli. 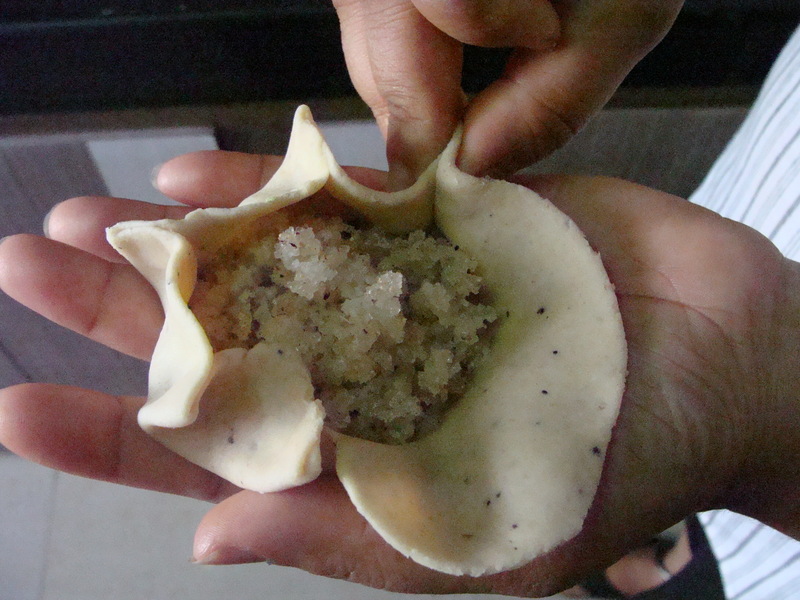 Cook on slow flame,till sugar melts and the mixture dries up completely. 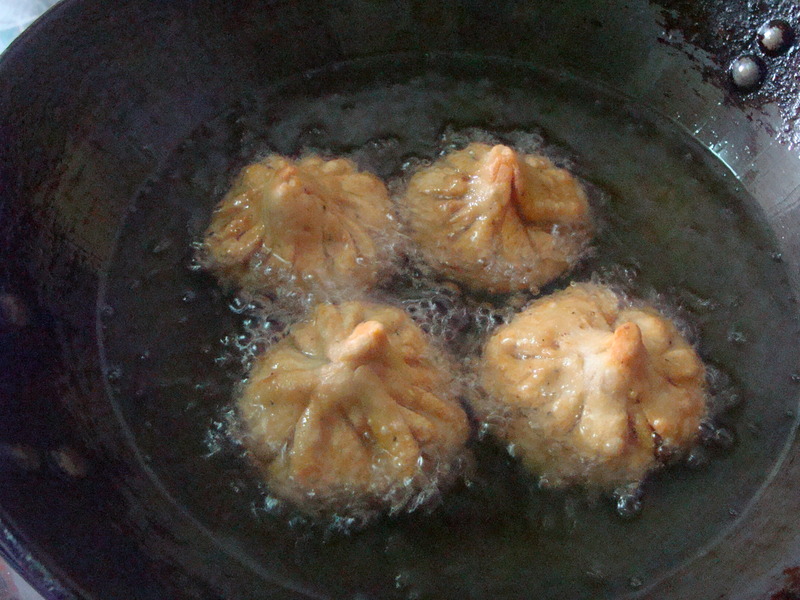 Switch off the gas and add cardamom powder,mix well. 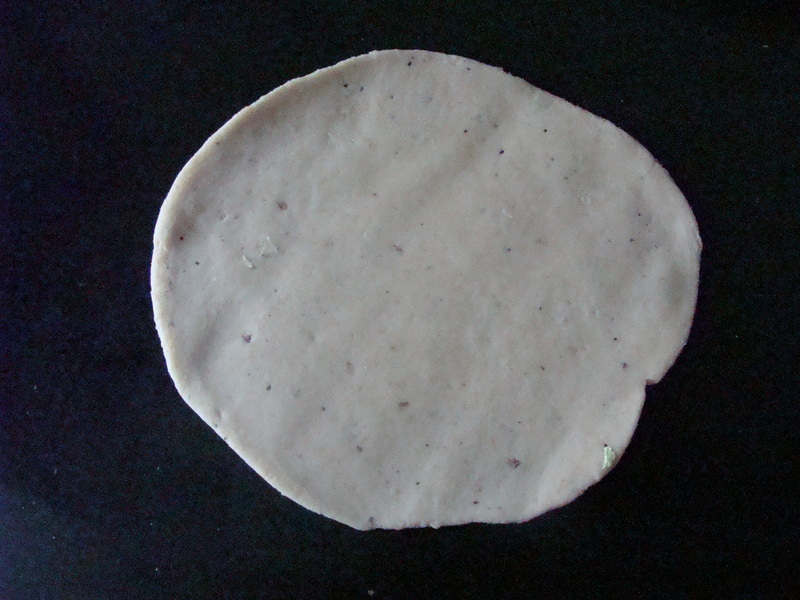 Remove in a plate and keep aside for cooling. 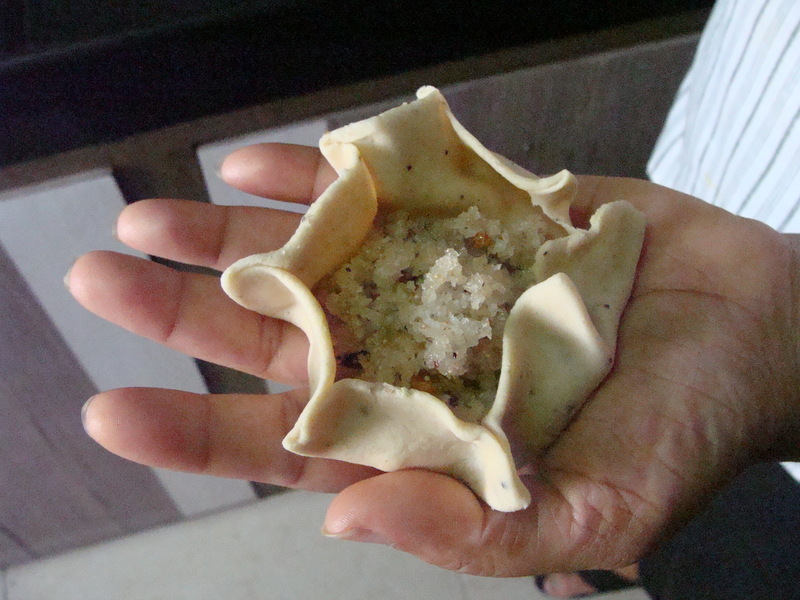 Pick and place the roti in your palm,now put a spoonful of stuffing in the centre. 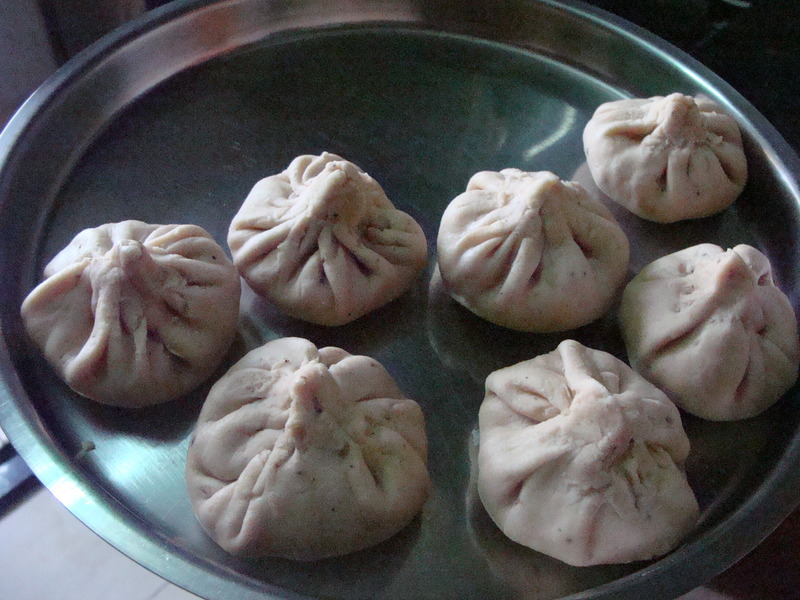 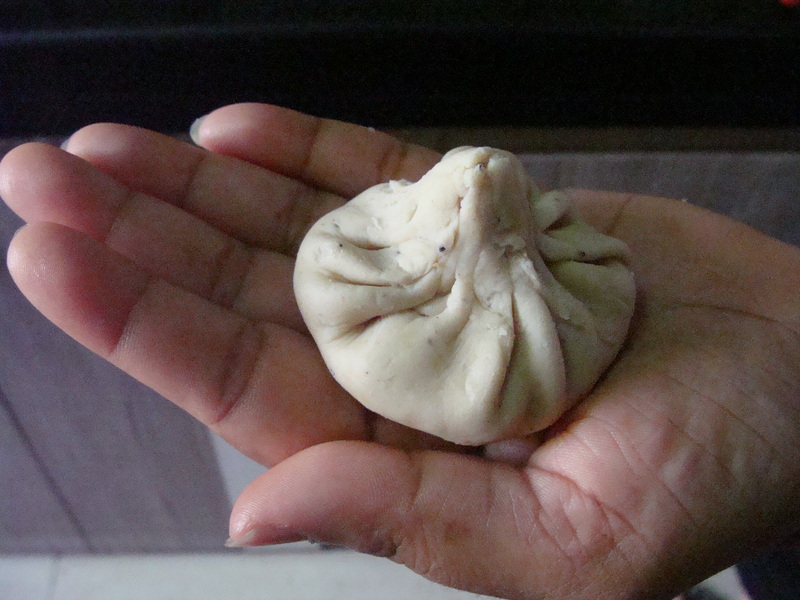 Pinch the dough, gather all the corners together and press the top portion to form modak. 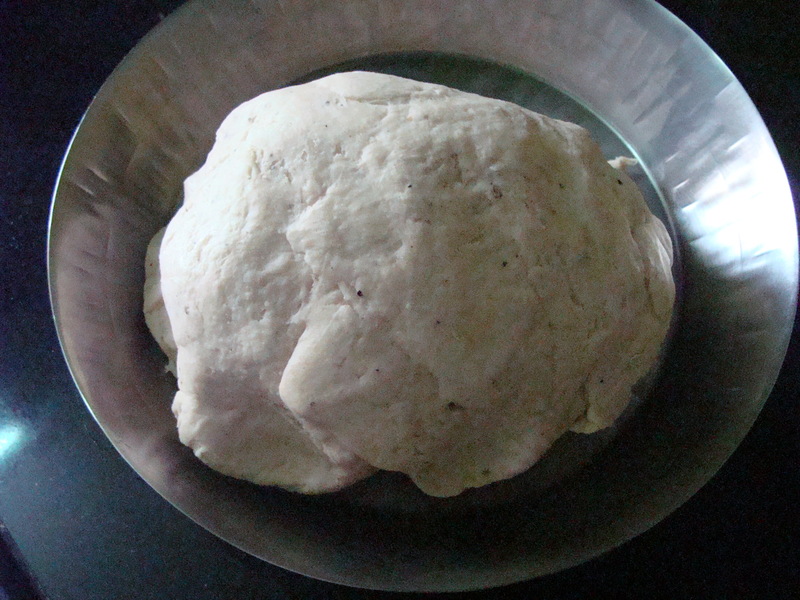 Finish all the dough and the stuffing like this. 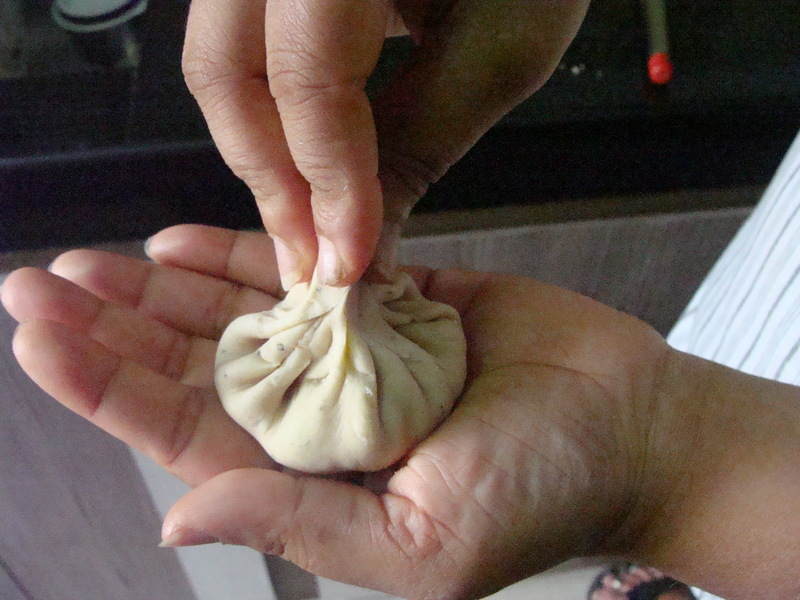 Keep covered under wet cloth,to avoid drying and cracking of the modak. 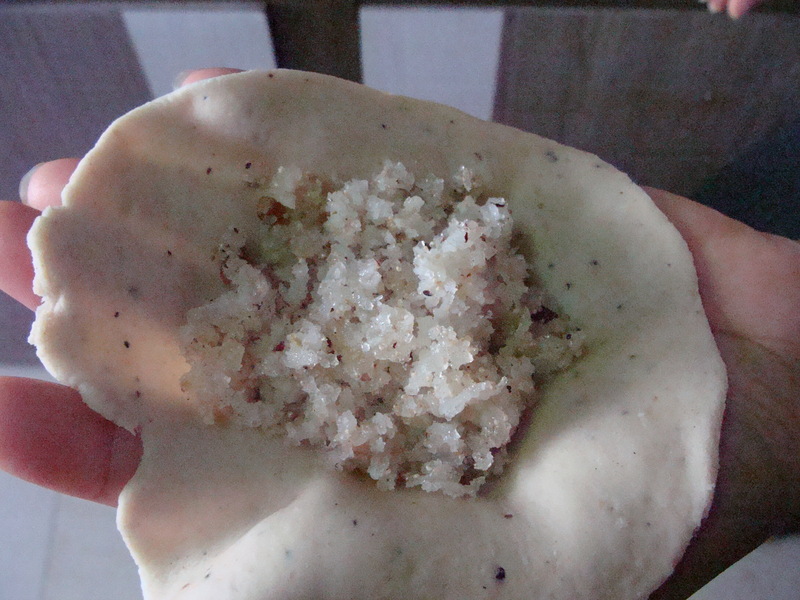 Once all the modaks are made,Heat oil in a thick bottomed kadai.Place 4 to 5 modaks and fry on medium flame till modaks turn light brown.